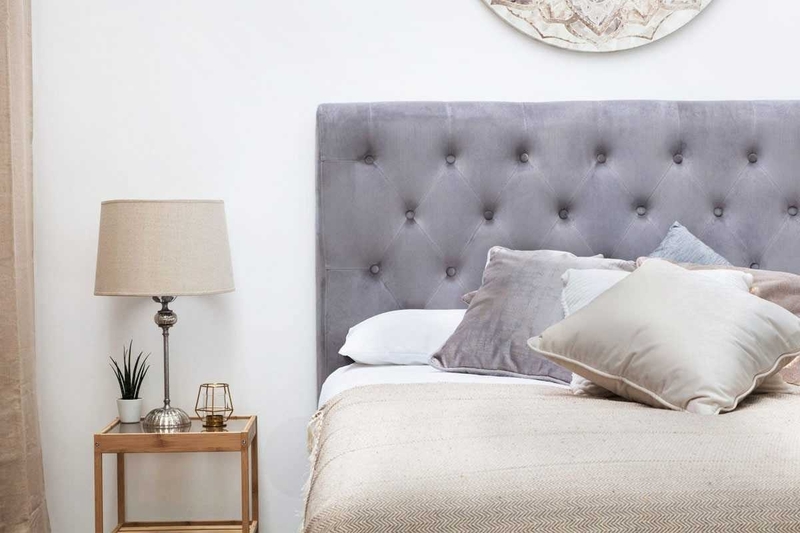 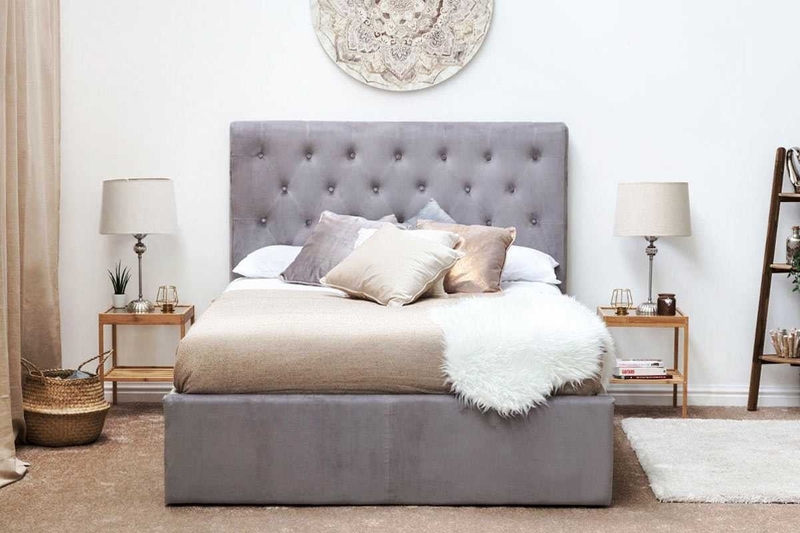 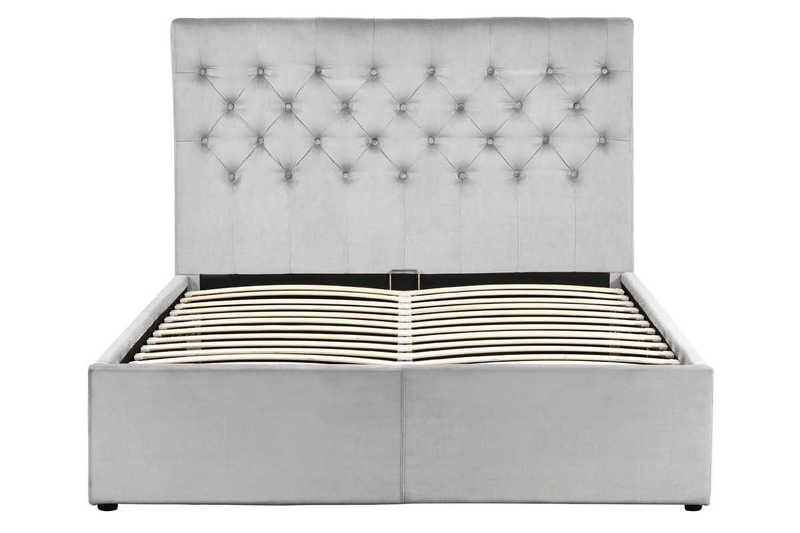 The Eltham is a beautiful looking designer bed frame upholstered in sumptuous grey velvet. 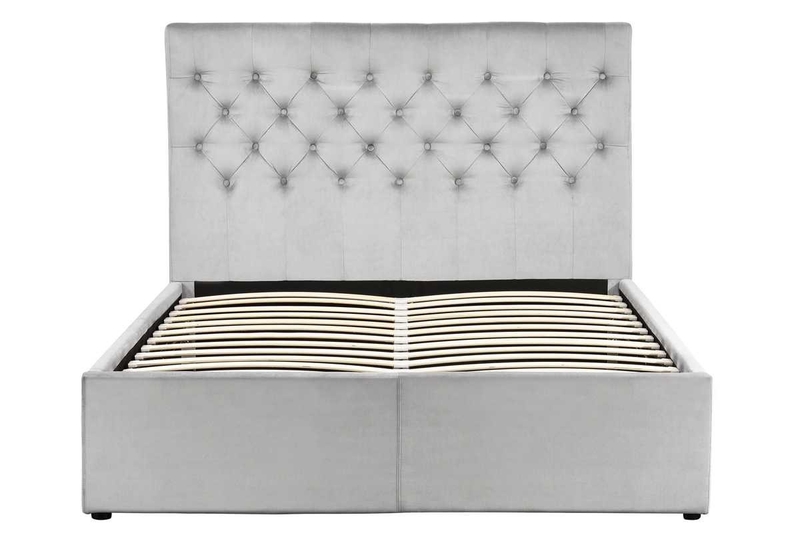 With it's buttoned headboard handy storage ottoman and will look perfect in both contemporary and traditional style bedrooms. 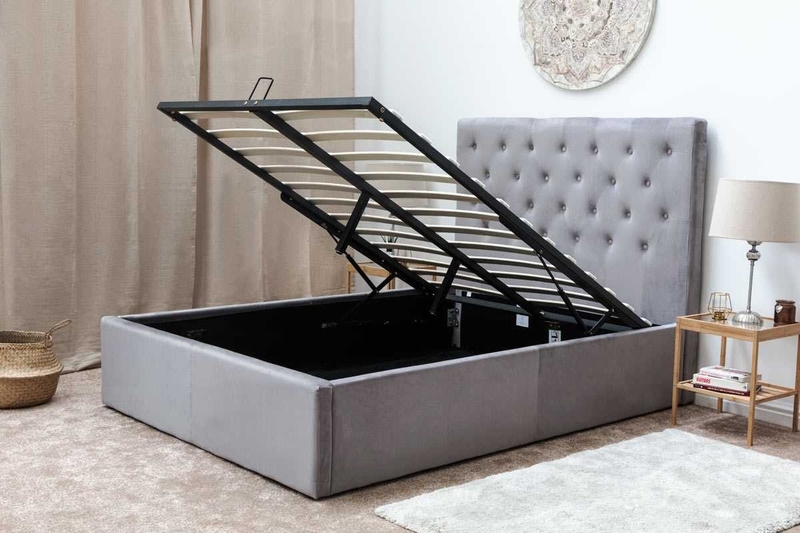 The storage ottoman features 2 gas lift mechanisms that enable a very easy lifting of the frame, to reveal a large under bed storage area. 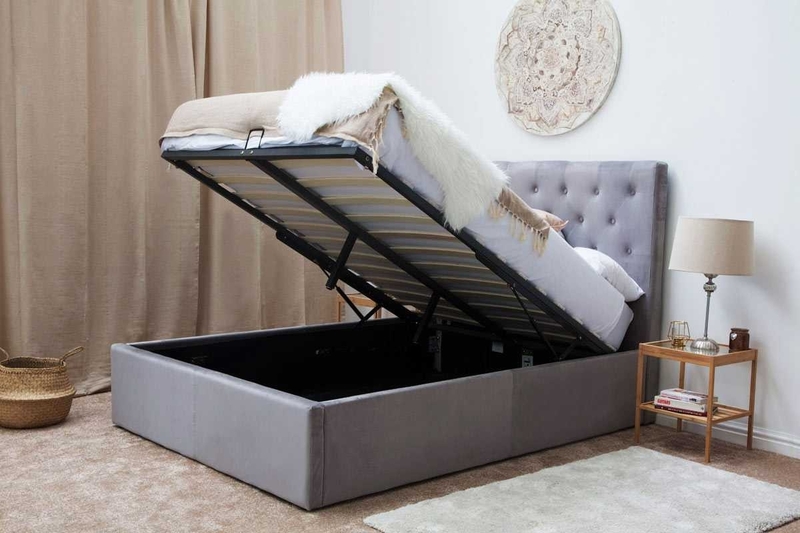 Perfect for storing bedding or personal possessions. 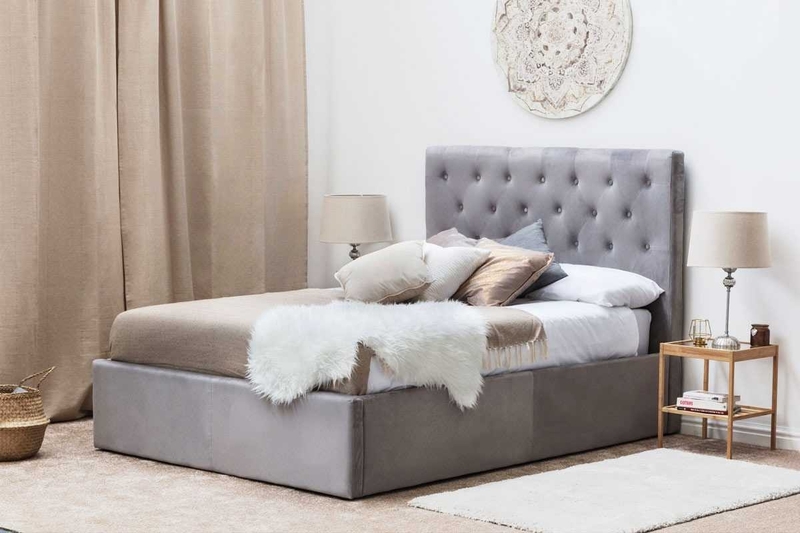 The bed also benefits from a sprung slatted base for ultimate comfort and to maintain your mattress in the best possible condition.